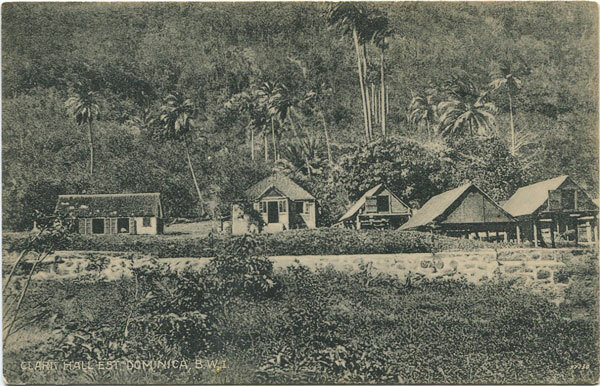 GEO TUDOR Botanical Station No 2, Dominica, W.I. 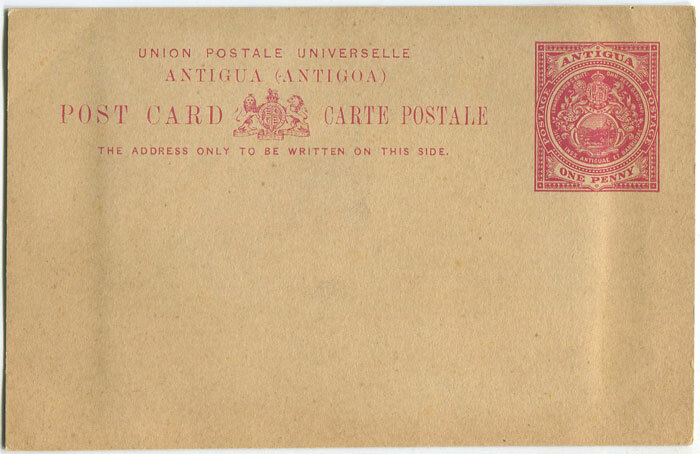 Old Dominica postcard, circa 1905, fine unused. 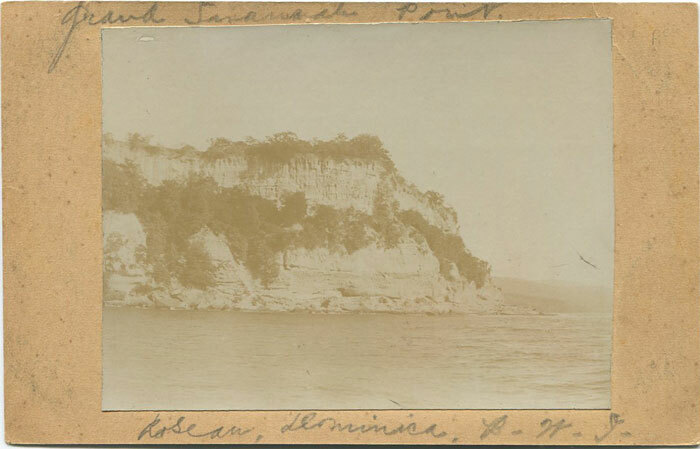 with a view of Grand Savannah Point, Roseau, Dominica. 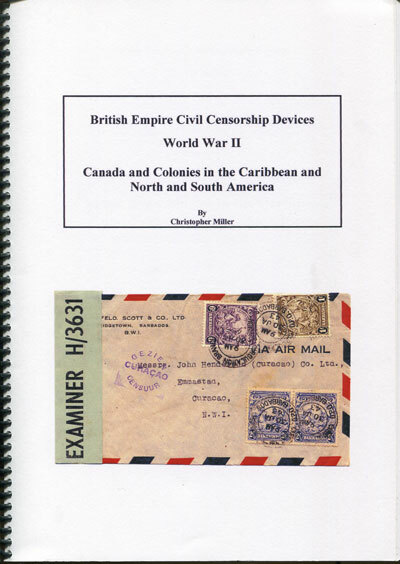 Fine unused. 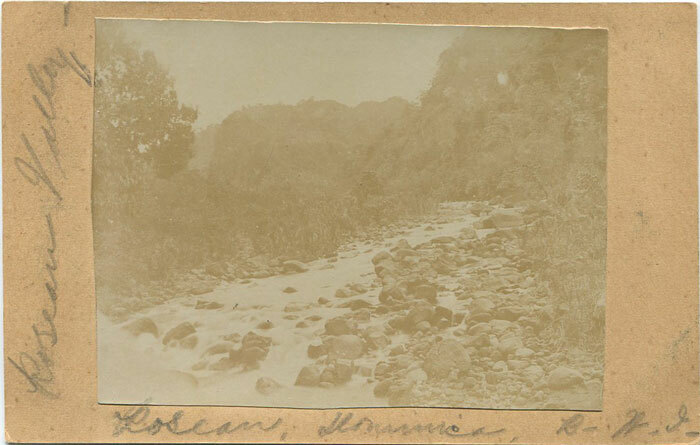 with a view of Roseau Valley, Roseau, Dominica. 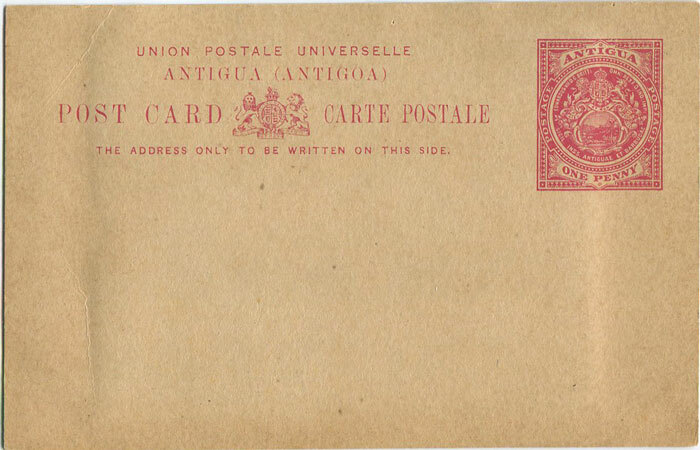 Fine unused. 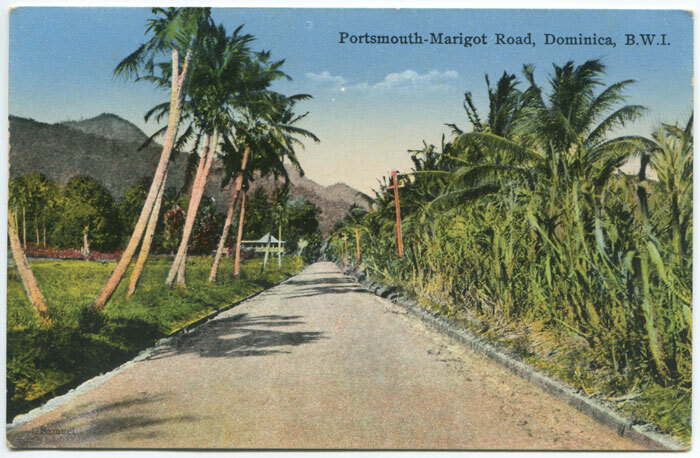 Old Dominica postcard, circa 1910, fine unused. 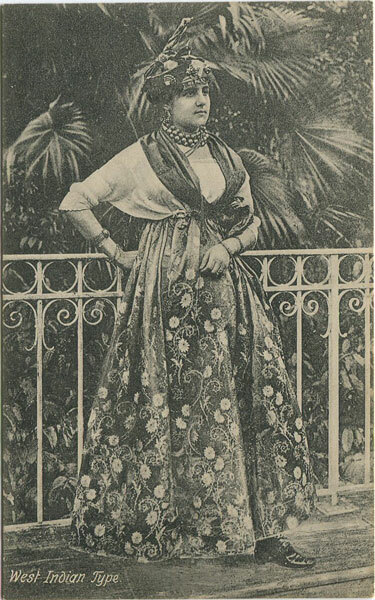 ANON Clark Hall Est., Dominica, B.W.I. 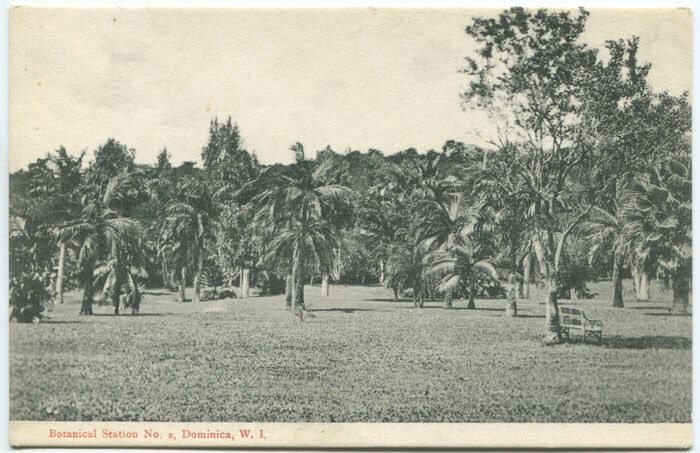 Old Dominica postcard, circa 1908, fine unused. 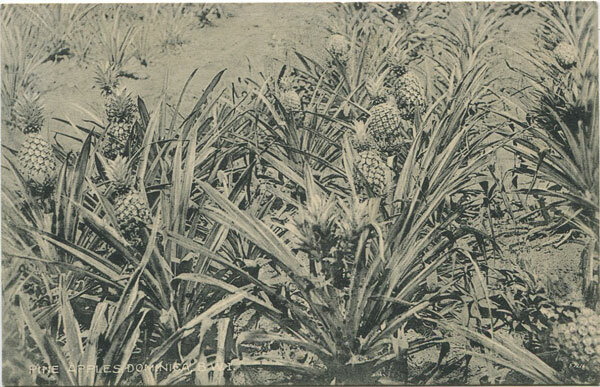 HOTEL DE PAZ Pine Apples, Dominica, B.W.I. 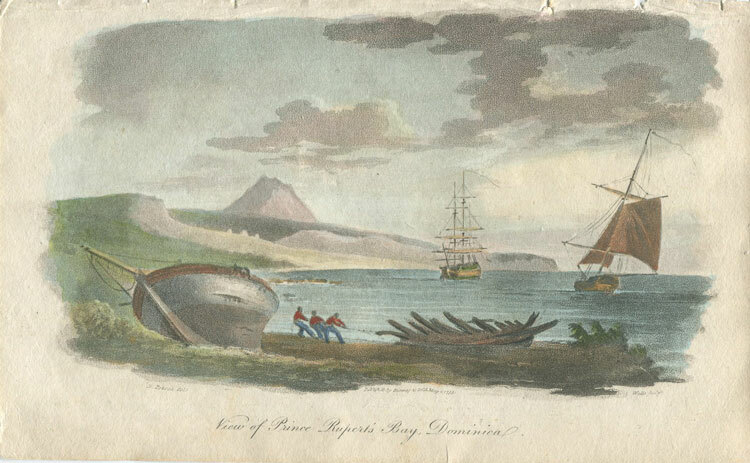 POCOCK View of Prince Rupert's Bay, Dominica Naval Chronicle 1799 Hand coloured aquatint. Good condition. 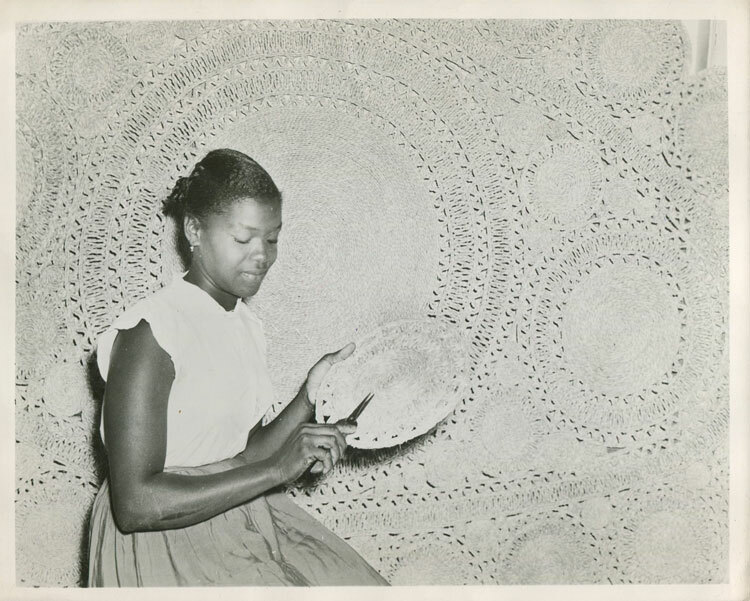 9 x 5.5"
1954-62 Dominica 3c Mat Making (SG144) original press photograph of the image used in the design showing Cynthia Thomas making straw mats in the Nun's Industrial School in Roseau. 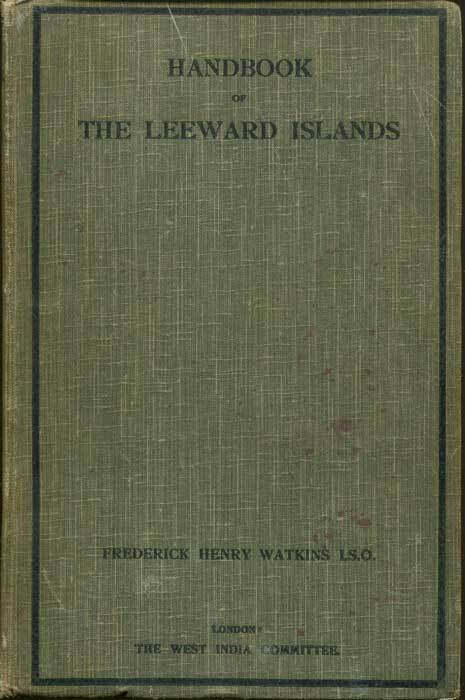 10 x 8"